Welcome to the The Steele Creek Community Trail Web Site! 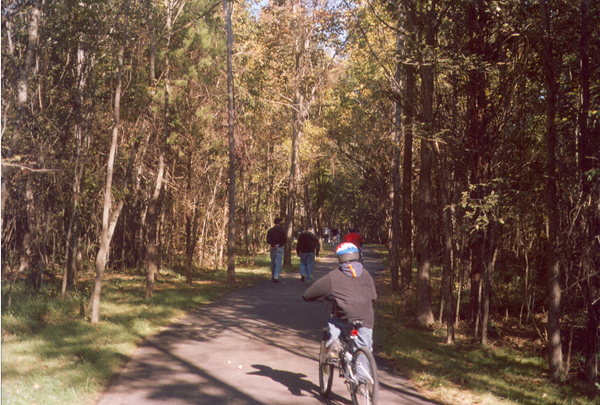 Along the Walkers Branch Greenway Trail on its Grand Opening, October 14, 2006. Click HERE for additional photographs. The Steele Creek Community Trail Committee IS NO LONGER ACTIVE. being able to safely walk or ride your bike to the library, stores, parks, workplaces, schools, restaurants, and your neighbors in the Steele Creek community. A committee of community volunteers is working with government agencies, landowners, developers, homeowner associations, and businesses to connect our community with a network of trails and bikeways that will follow greenways, utility easements, road rights-of-way, and neighborhood common areas. Our objective is to promote a sense of community and a healthy lifestyle. Ultimately, we would like the trail to connect to the town of Tega Cay and a greenway and trail system planned for the Fort Mill and Rock Hill areas. The Committee has chosen to focus initially on the Steele Creek and Walkers Branch trails because these are on the Mecklenburg County Park and Recreation Department's Master Greenway Plan. We could use your support for this community project and welcome your thoughts, ideas, and participation. Be sure to designate "Steele Creek Community Trail" with your donation. Buy your Steele Creek Community Trail T Shirt! Shows the trail logo on the front and "Imagine" statement on the back. Color is buff (as in logo background above). Sizes: Adult L and XL. Price is $10 plus shipping. Email communitytrail@steelecreekresidents.org. Click on the map to the left to view a larger map showing potential trails within Steele Creek. You will need Adobe Acrobat Reader to view this PDF image. A community connected by trails and common values. To create approximately 50 miles of walking and biking trails for people to enjoy in the Steele Creek community. To connect the planned communities of Berewick, Island Pointe/ Sanctuary, and Palisades with McDowell Nature Preserve, schools, the new library, existing subdivisions, business parks and the Steele Creek Town Center at Hwy 49 and 160. 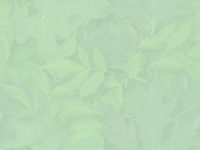 To promote an active, healthy and eco-friendly lifestyle. Karl Froelich, an active Steele Creek neighbor, became aware of the staggering growth in the Steele Creek community. He shared his concerns and vision with a group of like-minded residents. What started as neighborly “chit-chat” turned into a labor of love and passion to get in front of the development and lay the groundwork to make an active lifestyle easy for the community. The group began regular meetings to take a proactive approach with developers and local government. The group is determined block the trap that many communities fall into, allowing development to dictate the lifestyle of the community. The group is excited about the growth and simply wants to maintain healthy values as the area grows. Please email us at the address below if you have questions or want to find out how to get involved. 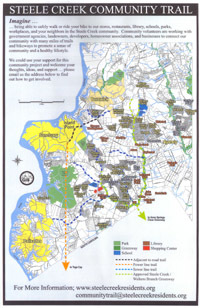 These routes have been approved on the master Greenway Plan. As land is developed along the stream corridors, SCCT members will work with developers to ensure land is set aside for trails. Bikeways along roadways - SCCT members met with Charlotte DOT and NCDOT officials about trails and bike lanes along roadways. Standard sidewalks are unsuitable for bicycles. Ten-foot wide asphalt trails are preferable but do not meet city standards. Future roadway improvements will incorporate bicycle-friendly facilities into the plans. Possibilities include bicycle lanes and tunnels or bridges across roadways. Utility easements – Trails are intended to follow easements along sewer and power lines. Efforts are underway to work with utility companies for use of these easements. Major developments – Three major, new developments in the Steele Creek area are underway: Berewick, Palisades and The Sanctuary. Palisades and The Sanctuary will have trail systems within their borders. 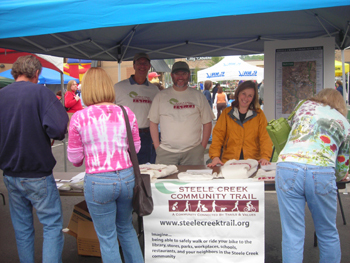 SCCT has contacted all three developers about connectivity between their development and the Steele Creek Community Trail. Neighborhood associations – Trails will run through and nearby many Steele Creek neighborhoods. Participation by homeowners associations and other neighborhood groups will help the overall trail effort. Neighborhood groups may adopt a segment of trail to build or maintain. South Carolina Trails – An extensive trail system is being developed in Tega Cay, Fort Mill and Rock Hill. Connecting SCCT to the South Carolina system will create a powerful trail network available to users from both sides of the state line. The mayor and town manager of Tega Cay have endorsed the SCCT concept. Other parkland – Community trails would connect Mc Dowell Nature Preserve, Thomas McCallister Winget Park and the new district park on the north side of the Berewick development. This creates a wealth of resources and park facilities to the community. Active Living by Design is a national program of The Robert Wood Johnson Foundation and was established to create and promote environments that make it safe and convenient for people to be more physically active. In most communities throughout the United States it is difficult to walk or bicycle to work, school, and other important destinations. Opportunities for these routine physical activities have been engineered out of our daily lives. The goal of Active Living by Design is to encourage changes in design, transportation, and policies to cultivate and support active living, a way of life that integrates physical activity into daily routines. Active living approaches such as walking or bicycling for transportation or pleasure, playing in the park, taking the stairs, and using recreation facilities will help people achieve the Surgeon General's recommendation of 30 minutes of moderately intense physical activity at least five days a week. For more information, visit the Active Living by Design website.